Plump silhouette, tail pumping up and down? Get some optics on that bird! And oh, those colors! 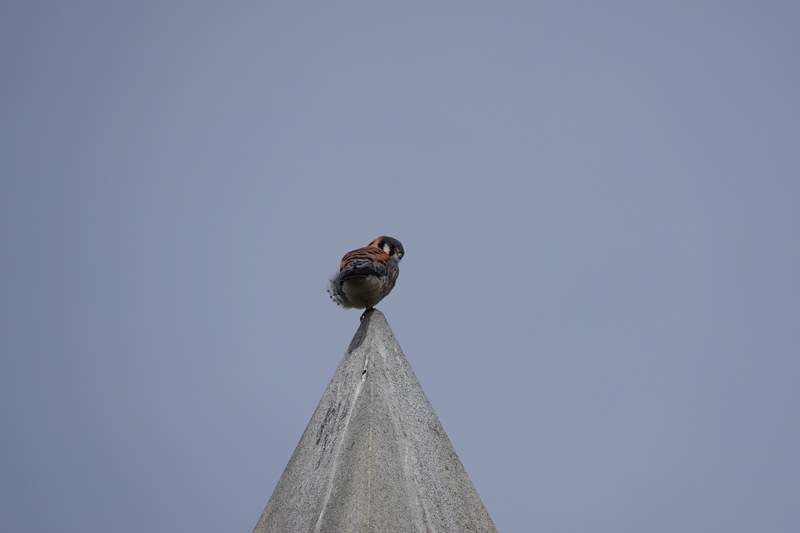 A male American Kestrel. Note the tell-tale whitewash of a ready perch, no doubt used by any number of birds. 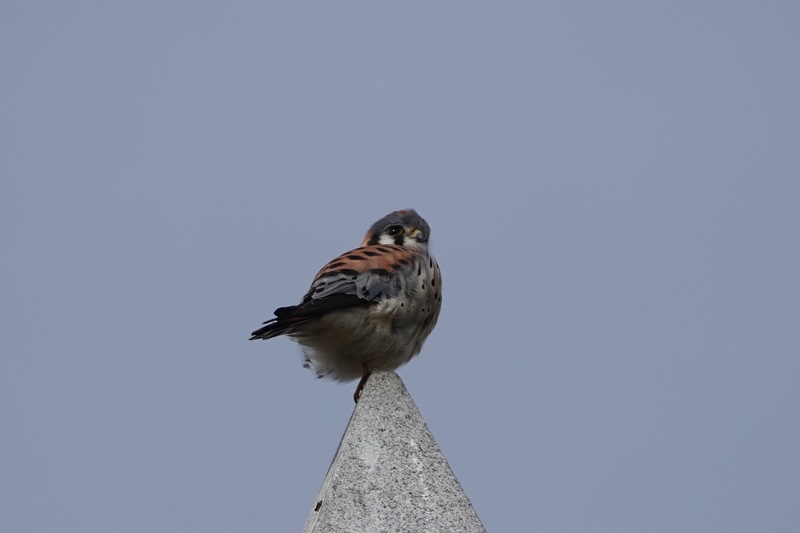 Any height in a habitat is a perch for small falcons on the lookout for prey. Green-Wood is rather rich in obelisks, which is not atypical for a cemetery founded in the 1840s. The American nineteenth century had a mania for ancient Egypt. 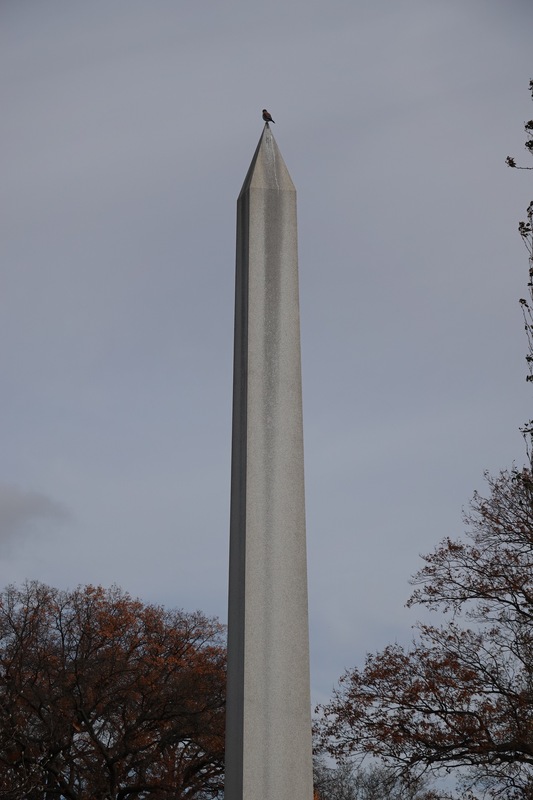 Obelisks, the Association for Gravestone Studies tells us, were considered classical, uplifting, tasteful, impressive for a small space, and cheaper than other elaborate sculptural elements.